India could soon see the arrival of 5G network. Two major companies, Airtel and BSNL are working towards creating the infrastructure required for 5G network. 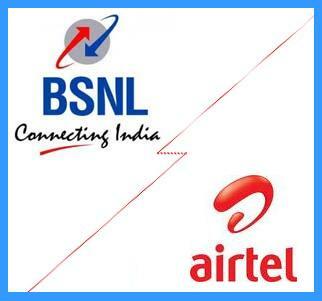 India’s top telecom companies Bharti Airtel and BSNL (Bharat Sanchar Nigam Limited) have already started moving towards the future of network connectivity. Recent reports have revealed that the two companies have signed a memorandum of understanding (MoU) with Nokia for developing their 5G networks. Soon Airtel and BSNL networks will start testing the transformation of their networks to 5G. According to Nokia’s Head for Indian Market, Sanjay Malik, the MoUs are focused on bringing 5G network connectivity in India and towards the necessary steps to do the same. It will also focus on ascertaining the applications for defining the target segments leading to an end-to-end 5G-implementation strategy for Telcos. He also said that a global commercial launch of the 5G network is expected to happen between 2019 and 2020. Currently, they are only in the preparatory stages of 5G implementation. Amit Marwah, Nokia’s head of end-to-end sales solutions for Indian market has however said that while it took a decade for India to fully accomplish the 2G technology, the 3G took a lesser time, and 4G was even lesser. Hence, India has a wide scope and potential like every other country across the globe to make the new technology a reality. Mr Malik also said that by 2018 India will start doing field tests, content test, and application trails for 5G network implementation. Nokia at present supplies 4G-equipments to Airtel in nine states and has already won its bid for BSNL’s phase-8 expansion. The company is also doing an advanced purchase order (APO) for BSNL. He also said that BSNL is at present setting up its foundation for 5G-network transformation. Also, the government may soon be seen auctioning spectrum bands above 3000 Mega-Hertz (MHz). Nokia will be testing 5G-network implementation in India by setting up its experience centre inside its R&D centre in Bengaluru. Soon, the company will be exploring connectivity in rural areas, IoT in Agriculture, and more.